It’s Five Minute Friday time! Learn all about how Five Minute Friday works over here. 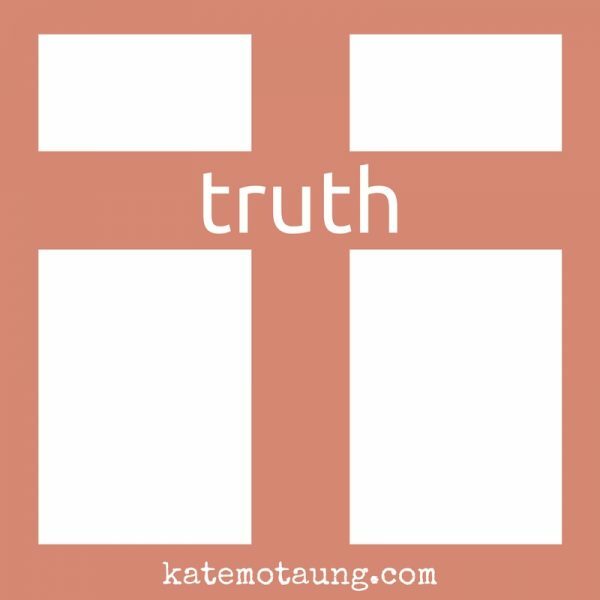 Join us as we write for five minutes on the prompt, TRUTH. Some people don’t think it matters much. Others disagree. Some think it’s subjective. Others die for it. In moments like these, when faded and tarnished memories leave question marks hanging in the air, I’m even more grateful that truth has come, and is still coming again. 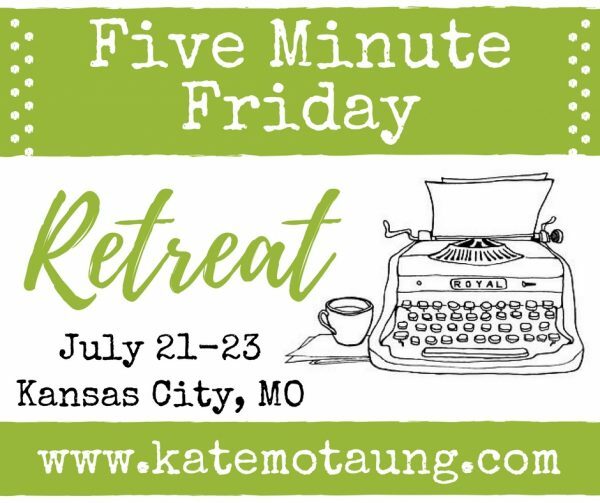 I guess I’m running short on steam this week, but thrilled you’re here nonetheless, and hope you can also join us for the upcoming Five Minute Friday Retreat in Kansas City, July 21-23! More info and registration here. Deadline to register is June 1st. Join us by linking up your own five minute free write below! Thanks for this Kate! I am also writing a memoir and struggle a lot with “my truth” vs. the truths experienced by the others involved. I often think back through the moments that I’m writing and wonder if my remembrance is completely crazy! Lol. Is that really how it happened? All I can do is tell my truth and how God walked alongside me through my experience of those events. Thanks for the reminder that HE IS truth! Oh, boy! It’s so easy to spin the truth, isn’t it? Have you read Glass Castles? It’s one of the most beautiful, non-condemning memoirs that I’ve ever read. Kate, so much truth packed into your words. You’re so right. When people come against us, when they declare what we’re saying is not true it’s hard to continue standing. At least for me it is. I guess it comes down to knowing Truth. The Person. Like you said: “truth has come, and is still coming again.” We can find confidence in this and stand on His Word. Thank you for this reminder, friend. In looking back over my life, so much of what I thought was true and good was really mean and self-serving, and some of the things I thought stupid were actually my best moments. The ‘truth’ then is not the Truth of Now. And the truth now is imperfect, because it’s seen through human eyes. Kate, sounds like you need a one-woman retreat. Pack your laptop and come sit on my porch in NW NC. I will fix you copious cuppas tea with milk (as Lisa-Jo requires) and you can listen to the creek, the birds, and the noise of no traffic. I have guest beds at the ready. xoxo This is the TRUTH. I used that scripture in John too. Loved the prompt this week. Thanks for letting me participate. Hope you have a great weekend. I never read before I write and post. We used the same two scriptures. Love this unity of the Spirit! #38. God gave us the same verse! reading between the lines, it seems you are overwhelmed with editing right now. Praying rest for you! And, praying that God’s leading will let every word ring true and work for His purpose and glory as it makes it to print. May you find small, tangible moments of joy as the earth awakens and begins praising Him abundantly with new life! I am just SO thankful that I’ll actually get to spend time worshiping Him with you in a few short weeks!